HumHum: Finished socks and a lot of dark pictures! 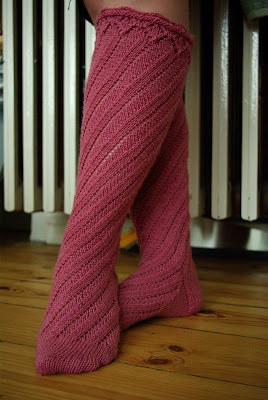 Here they are, a finished pair of Spiral Boot Socks! And then there was potatopancakes and polenta. MmmmMMmMmmMMMMmmmmmm! And it seems I can't have an entry without a flower picture! I finished reading Cormac McCarthy's The Road. It's a rather quick read, but it's also really good. And depressing.